***BACK ON THE MARKET, due to Buyer's fault on financing/pre-approval!!! *** Where the blacktop ends...have you dreamed of living off the back country roads? This farmhouse is for you! Located on a dead end dirt road, a short walking distance off the Saline River and surrounded by farm land. This 1911 farmhouse has first floor laundry, large living room, formal dining room, and kitchen. 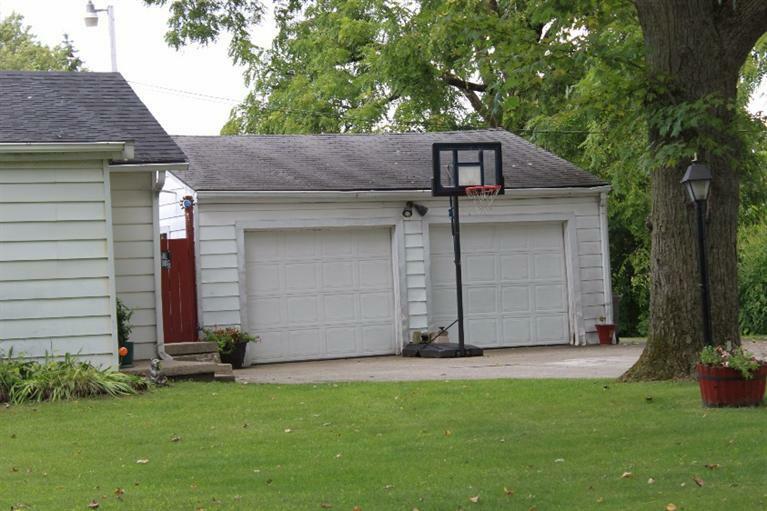 Huge Detached Garage has plenty of room for workshop space, along with additional workshop/storage room and deck attached at the back. Some newer updates include: Furnace, Electric Water Heater, Roof, carpet in 1st floor bedroom, porch steps, wood laminate flooring, bathroom and lighting fixtures, paint, and screen doors. Hidden original hardwood floors throughout! Spring Fed Well. Here's your opportunity to make this cozy farmhouse your own, just in time for the lazy days of summer! Home has very recently appraised for $137,000. Listing provided courtesy of Proper Property Services, Inc.